Happy customers mean better business. 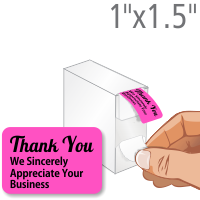 Stick this tiny Thank You label onto packages and see people smile as they walk out of your store. 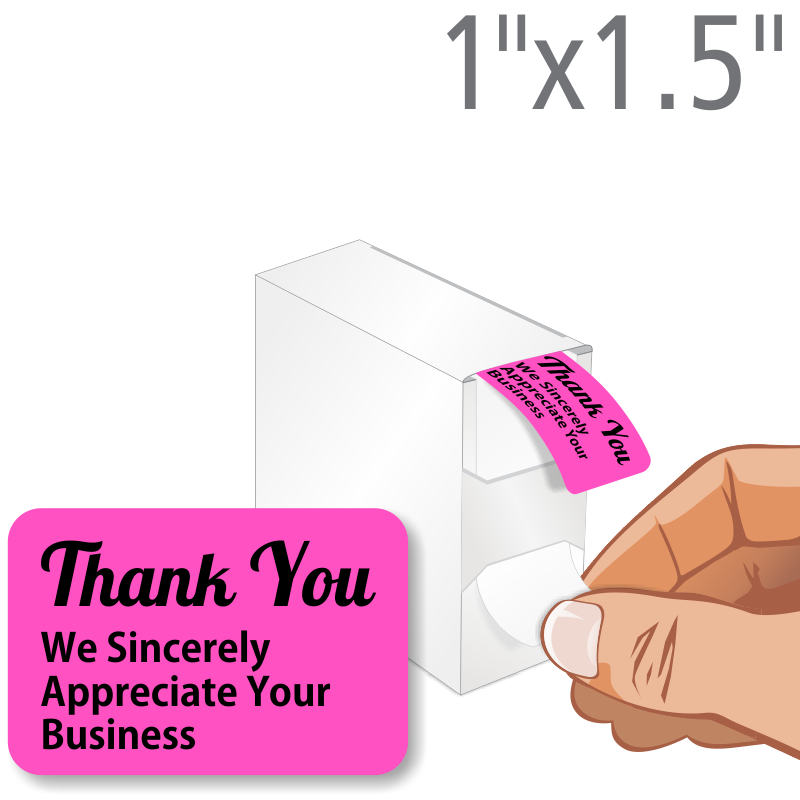 Labels have an aggressive adhesive that sticks well to envelopes, boxes, or bills. A handy Grab-a-Label Dispenser Box helps you organize your products and provides ease-of-use. Great Value, Great Service, Great Deal.